Get to Spain for free and spoil yourself with priceless opportunities. Those startups will need to really convince and tell us why they think Startup Olé can help them out boost their business growth, and, of course, send us a pitch deck. Attending Startup Olé can be a truly enriching experience...as you long as you prepare well for it! By using the Startup Olé app, you can gain access to investors, corporates, mentors and set up meetings with our fellow attendees. To make sure you stand out as you deserve, you’ll be provided with a whole stand to show your product and sell it to your target, so do come prepared with merchandising and flyers that can help you achieve your objectives! And...did I already say that travel and accommodation costs are included for one representative of your team? We really don’t want the distance, and its costs, to be a problem. That's why travel and subsistence expenses are entirely covered by us. Deadline for applications: 4th of February 2019 - NEW DEADLINE: 7TH FEBRUARY! 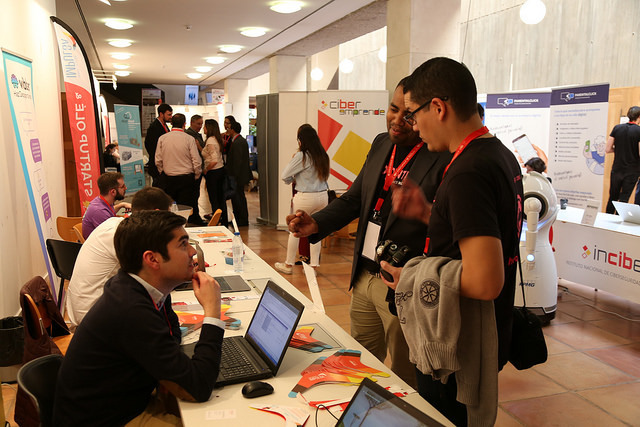 Startup Olé 2019 will take place in Salamanca (Spain) from 26-28 of March and it will gather +30.000 attendees from 120 countries; +850 startups, scaleups and spin-offs; +500 speakers; +250 corporates and investors with an investment portfolio of over €50k M. Our fifth edition will be the biggest so far and we are working hard to make this an event that you will never forget, so do not wait any longer and join the family!